After reading Time Management from the Inside Out by Julie Morgenstern, I now know why she is a queen of organizing both time and space. And to be perfectly honest – I am more than a little jealous of her mastery. I want that feeling of zen that you get from being in control of your time and your clutter. Generally, I consider myself to be a pretty organized person – ask anyone that I know and they will tell you the same. But sometimes I feel like I am “surface” organized. I get the important stuff done – but the someday stuff can pile up. And while those things are not pressing, they certainly can become somewhat of a mental burden. … creating days that are meaningful and rewarding to you, and feeling a sense of satisfaction in each and every one of your tasks. That really sounds amazing – so how do I make it happen? Related: Procrastination – Kick It To The Curb! You might think that the answer is a rock solid system of handling anything and everything that comes across your desk. Tools to get you back on track whenever you find yourself straying from your systems. Because, despite my best intentions, there are so many detours and unexpected things that try to sabotage my plan. Related: What Does GTD Mean? And, no, it's not a disease. The beginning of the book is dedicated to identifying common ways that people set themselves up to fail – either through technical mistakes or psychological mistakes. Technical mistakes generally revolve around miscalculating the time needed to complete tasks and the scope of projects etc. Saying yes to the person in the moment means you're saying no to someone else whom you've already promised that time to. Love it. Your time is precious. Treat it like money. What do you want to spend it on? Even though it wasn't an aha! type moment – the book did drive home the importance of accurately estimating the the time that tasks will take. 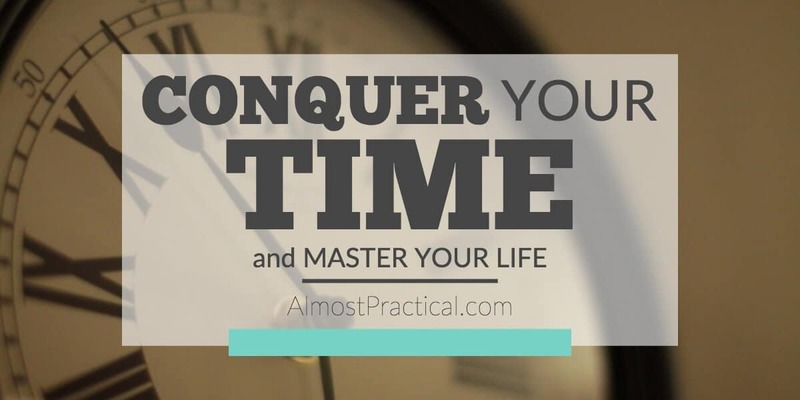 Part two of Time Management from the Inside Out is where the fun really started for me. This is where Morgenstern starts to give us the tools that we can put into practice. This process is a good way to, well, wade through your mountain of to do's. Sometimes you need to evaluate whether doing them all yourself – or even doing them at all is the best approach. What this tool really comes down to for me is PLANNING. You need to allow yourself time to plan and to actually put WADE into practice. I tend to shortchange myself on the planning phase because so many other things encroach on my time. Paper clutter is more often a symptom of poor time management than poor organizing skills. Honestly, that was an eye opener. When your desk is overrun with paper, you often say “I need to get organized.” You don't say that you need to sharpen up your time management skills. Yet, if you allowed yourself time to deal with that paper, your desk would be clean – wouldn't it? I am pretty excited to use Morgenstern's system to tackle a few of my piles. Nestled within the pages of this book is huge hidden gem. I never expected to find it here – in a book about time management of all things. But Morgenstern tackles the concept of goal setting with a very unique approach that makes a ton of sense to me. She says that people often confuse Actions with Goals – and that goals rarely change while actions can fluctuate on a monthly or yearly basis. For example, you might have a goal of becoming healthier – and your actions are to workout 3 times per week to achieve this goal. In the past, I might have set a goal of working out 3 times per week, without realizing that this is not really the ultimate goal. So, by stepping back and taking this concept further – you can divide your life into a few major goal areas, and then create actions to take to get you closer to your goals. This approach really helps you to analyze just about everything that you do on a daily basis. Are you using your time wisely? Is what you are doing right now getting you closer to your life goals? And since you are reading this – I hope it fits into your self improvement goal. This is another tool that Morgenstern sets out to help you master your time. She includes some examples in the book and appendix that you can use to divide your week up to make sure you are allowing yourself the time you need to accomplish your action steps. Finally, Morgenstern introduces the SPACE formula as a thought process to use to evaluate your to do list and organize them in way that will allow to get closer to the goals that you have set. Overall, I was energized by this book. I realized that there is much more I need to do on a daily basis to keep moving forward. I also realized that I am underutilizing my daily planner which should in and of itself is a huge time management tool. Even though I have an iPhone – I know that I am not a 100 percent electronic calendar person. I like the act of writing things out on paper and using color and post it's to grab my own attention. In the past, I used a two page per day layout from Franklin Planner. But it was almost too much space for me. So, this year I am trying out a one page per day layout and this time I chose the Flavia collection from DayTimer with a snazzy blue binder. In addition, I have a classic sized hole punch from Franklin Covey that I use to punch holes in plain paper that I can add to the binder. 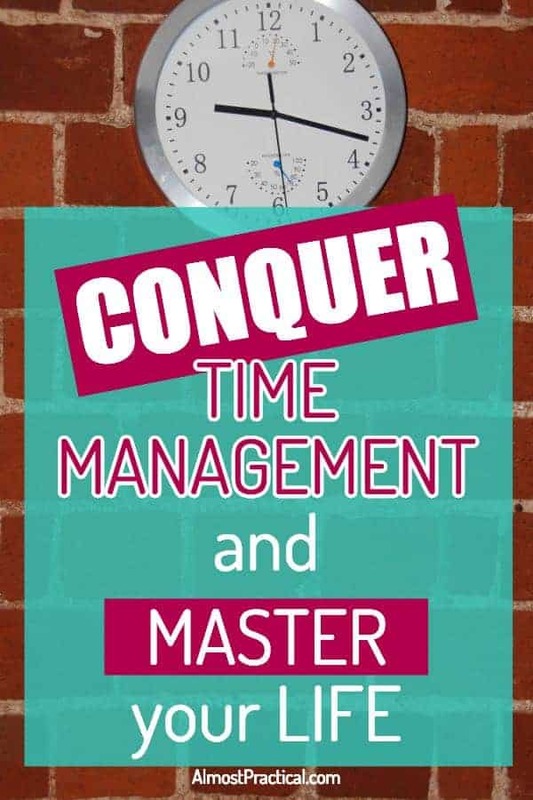 Has this book helped you with your own time management strategies? What strategies have you tried or will you try to increase your productivity? In the week ahead we will be reading The Life Changing Magic of Tidying Up by Marie Kondo. You can read the review here. If you missed last week's book – we read Listful Thinking by Paula Rizzo. You can find that review here. Save this post to your favorite board on Pinterest to use for later. « Convertkit Review – Is It Right For You? I loved her book. I read it 5-6 years back and so much of it sticks with me. I now recognize that it is so important to make sure that the time you are giving is for the important things in life and allowing yourself to use our valuable time preciously. I really did get a lot out of this book. It had a lot of good points that will help me both personally and also as I work with my clients. Two big areas that stuck with me were that most people miscalculate how long a task will take. Focusing on an accurate estimate can make a huge difference. And the Time Map is also something that I need to implement for myself. Between clients and family – my days can be hugely different from each other, but I am going to put together something with a little more structure for myself and see how that goes. You are right – time is so valuable – and if you can be the one controlling it, I think you get a lot more satisfaction out of life.